With an amazing 57-kinds of pizza on our full menu, you might not think that we'd have more imaginative surprises up our sleeves. However, our 57-Artfully Crafted Gourmet Pies have inspired fun lunches, a beautiful wine list, an incredible selection of local beers, and our Perfect Pizza Pairings guide to help put it all together in the most perfect of ways. 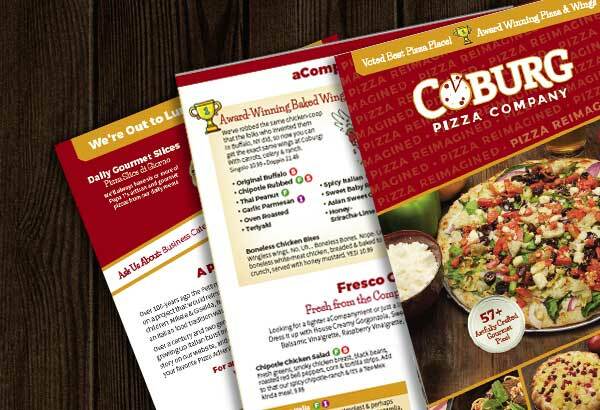 Here you'll find maps for your every pizza adventure. We've spanned the globe to bring a world of pizza flavor right into our little community, but most of our libations are from a little closer to home. Here in the Willamette Valley are some of the best vineyards and wineries, and also some of the best crafted beers anywhere. 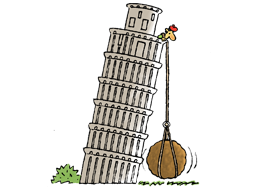 Adding regional favorites and classics imported from Italy brings an explosion of taste exploration. Aromas, Bouquets and Tannins… Oh My! For classy-gourmet pizza it’s important to make sure that your taste buds are receiving all the nuances of a wine. 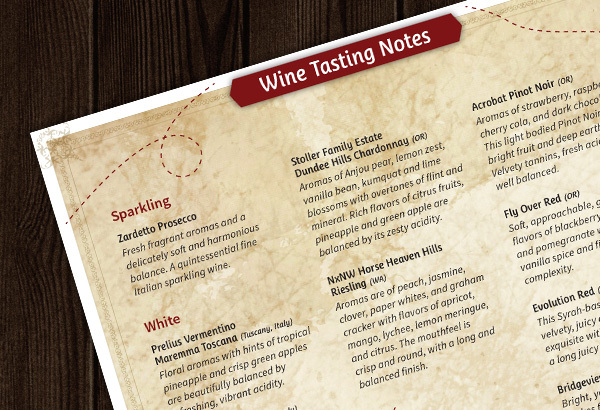 Here’s where you can find the tasting notes from our wine sommelier, Wine Julia. 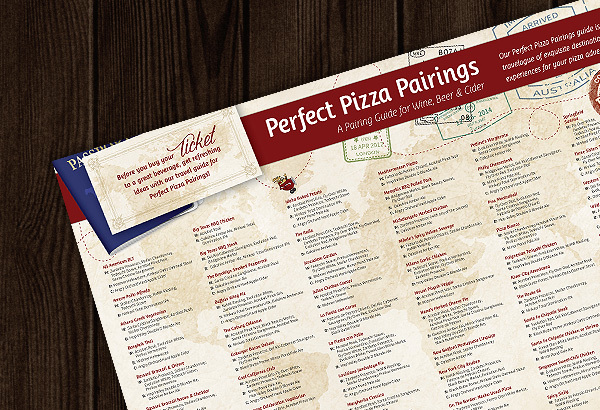 For perfect beverage pairings, check out our Perfect Pizza Pairings Guide. 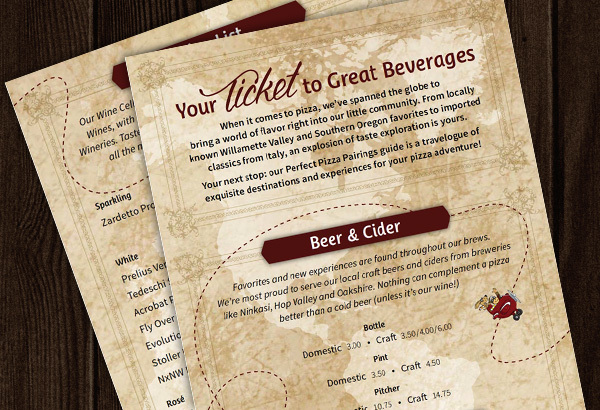 Our Perfect Pizza Pairings guide is like a travelogue of exquisite destinations and experiences for your pizza adventure. It's easy to experience harmony between food and beverage when simple pairing basics are followed to ensure balance between food and wine, beer or cider.